← Octagon Table with a Roundel Tile Set by D. & M.
This most adorable hippo was made in the Los Angeles studio of a ceramic artist Hal Fromhold in 1961-1963. I am not quite clear on the details but it seems that Bertil Vallien, who later became a rather famous glass artist, began his career as a ceramicist. 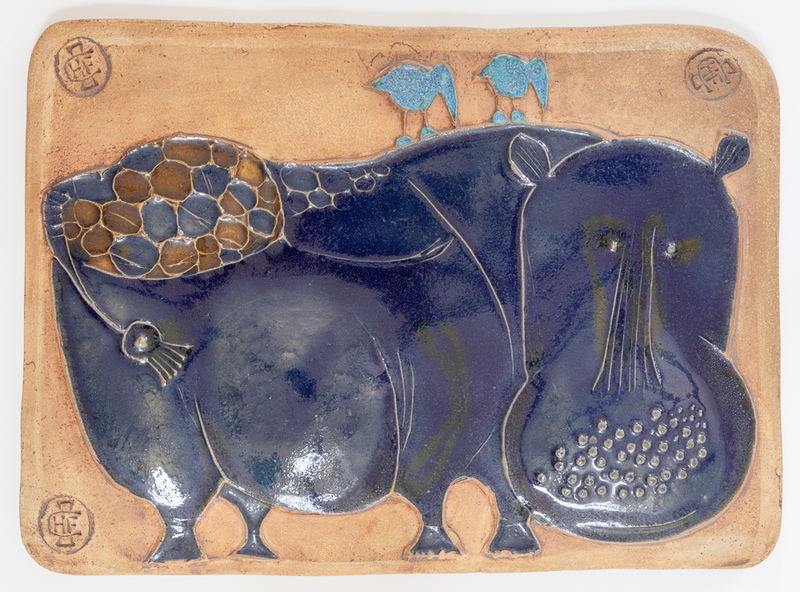 In 1961 he had a fellowship at Fromhold's studio and created a series of these whimsical plaques: hippo, horse & bird, horse & rider, lion. I've seen a few of these so far, and each one has a different color scheme. I don't think there were too many of them made. 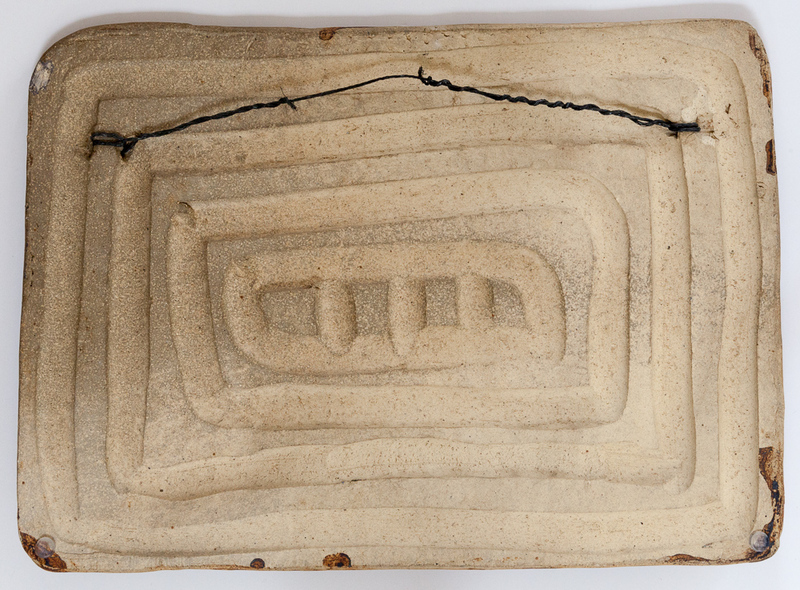 My plaque-tile is in excellent condition and has not just one but three Fromhold studio marks! 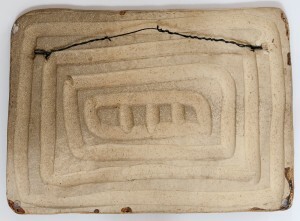 Dimensions: 15 1/4" x 11"